Well, it has been a year of challenges. A back injury to begin the year, and then two surgeries, followed by a job loss. However, I have managed to do well with my weight loss regardless of the challenges. All total I have lost 45 lbs. Now, that has been since I began my weight loss journey. This year I only managed to lose 18 lbs with all of the challenges. What is important to me is that the weight is coming off and staying off. I am progressively losing weight, each month my weight is lower than the next. I have discovered many things in the course of my challenges about diet and exercise. First, sodium content is extremely important to monitor when trying to lose weight. The less the better. Second, that exercise everyday, not just two to three times a week, is crucial to weight loss. Walking is best everyday, then cardio two to three times a week. Three, weights are necessary for maintaining muscle strength, and tone while dieting. Four, fruits and vegetables, especially green vegetables can make a huge difference in your diet routine. Five, lean protein is a necessity when dieting. It not only helps curb your appetite, but give you energy to exercise. Six, the importance of whole grain cannot be understated. I start my day everyday with some kind of helping of whole grain. Oatmeal is usually what I prefer. Seven, and I think the most important is portion control! This, I believe, was the hardest lesson for me. Learning that I could have my favorite foods in smaller portions, and not go hungry was a hard lesson. Also, learning what the proper amount of food the body requires to run, was an eye-opener for me too. Even though my total weight loss was only 45 lbs, it was the inches lost that made the biggest difference for me. I have lost a total of 25 inches! All of my clothes had to be replaced! Let me tell you, I hate shopping, but losing weight is making that not so much of a chore anymore. My goal for 2013 is very simple. I want to lose the rest of my weight. I have a 30 year class reunion in 2014, and I want to go. Now, if you have read my previous weight loss stories you know I have avoided them due to my weight gain. I want to go to my 30 year, and walk in there with my head held high, and not feel like I have in the past. That is my goal. If you are on a weight loss journey, take it one day, one pound at a time. The weight will not come off overnight as it did not go on overnight. A hard but true statement. Keep working at it, you will succeed eventually, if you want it bad enough. This entry was posted in General, Weight Loss and tagged diet, exercise, shopping, weight loss. We share the same goal this year – lose the rest of the weight!! 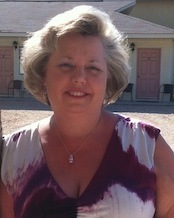 I went to my 30 year reunion last year – still 45 lbs shy of my goal, but lighter than I’ve been in over 10 years. I felt good about the way I looked and had a great time catching up with old friends. I’m so glad I decided to go! Happy new year and best of luck to both of us in reaching our goal!